To be a useful size, I needed to add borders to the flying geese units. This served a two fold purpose, make it bigger, and to make the flying geese look more attractive. 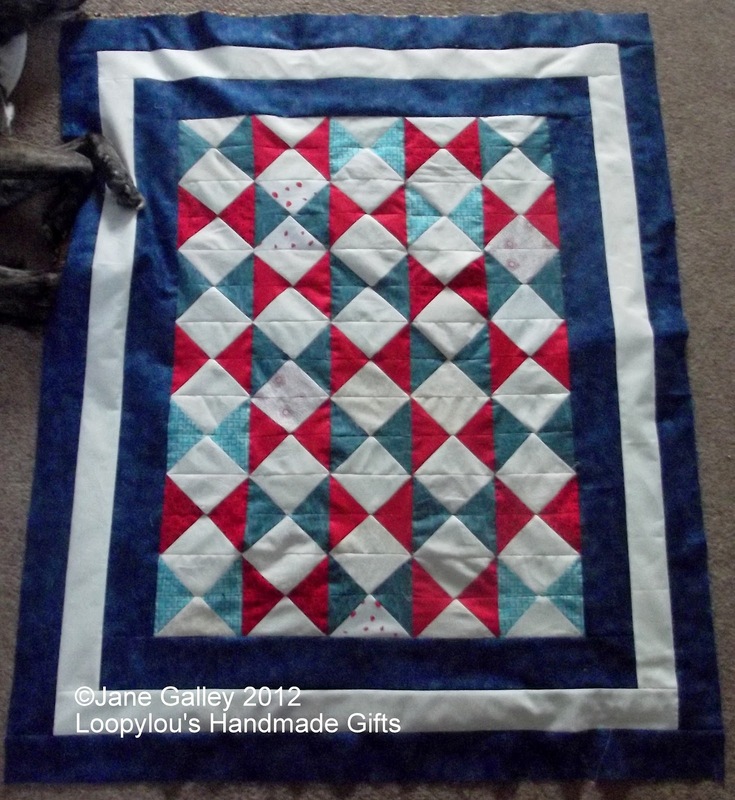 I was going to do a border in three colour, but chose to repeat the blue. You can't really tell in this photo, but there are lighter tones to the dark blue, which match the colours in the centre. 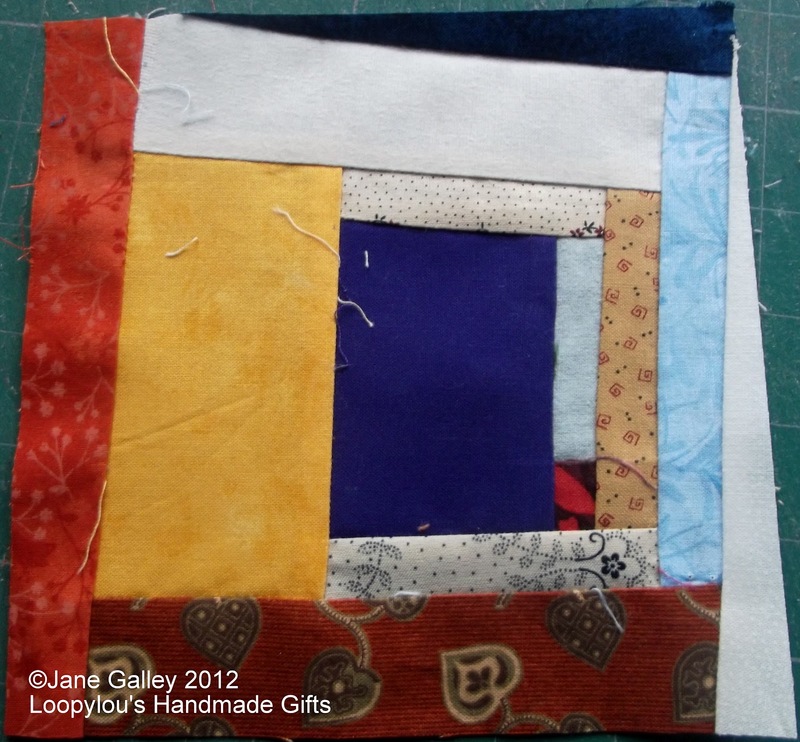 This is now ready to be sandwiched and quilted. Fortunately, the other colour I bought, is big enough to use as the backing, and I've just got a piece of batting leftover from a previous project that is the perfect size. As you can see, Finley wasn't going to move for anything when I was trying to see if this was big enough. He did move his nose, as he didn't want it under the edge. As an extra bonus, I even got another crumb block to add to my growing pile. Excellent finish! 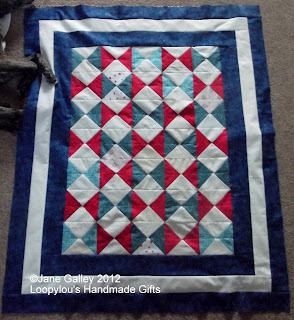 Great use of borders to complete the quilt..AND another crumb block: Yeah! How many do you have now? Borders really do make a difference. The quilt is wonderful with the borders. I do think Finley has claimed this as his quilt. Borders make it look finished and the color you chose for this makes the whole project pop. I like it very much. I do love how you can completely change the size of a quilt with a border. This is a fabulous quilt. I love the colours.